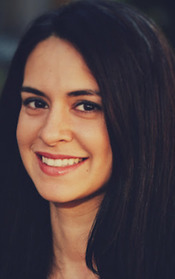 Janelle Milanes is originally from Miami, FL and received her BA in English Literature from Davidson College. A lifelong YA addict, she moved to New York for her first job as a children�s literature associate at Simon & Schuster. For the past five years, Janelle has worked as a teacher and librarian throughout the New York City area. Her first novel reflects many of her own experiences growing up as a second-generation Latina in America.Janelle currently lives in Brooklyn with her husband and their two cats. Her favorite Disney princess is Belle, since she was also a big book nerd.